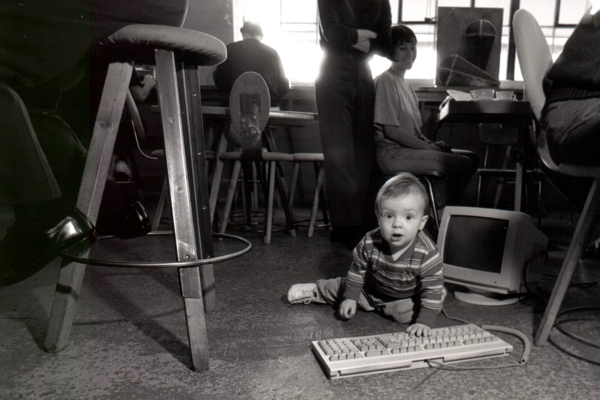 Originally, the cafe was peppered with several text-only VT100 machines that enabled customers to access their Speakeasy email accounts -- using Pine, a text-only email software developed by the University of Washington -- shell accounts, bulletin board systems and more. 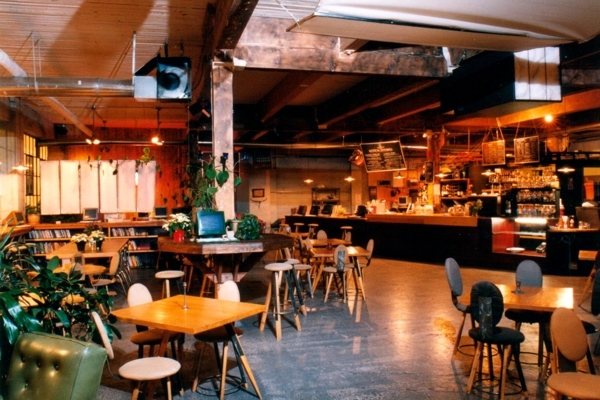 In one corner, an array of graphic terminals were corralled for customers to browse the Internet, leveraging the cafe’s ‘blazing fast’ T1 connection to enjoy early streaming audio and video, or to peruse any of the thousands of GeoCities websites featuring rotating torches and deep quotes by Ralph Waldo Emerson. 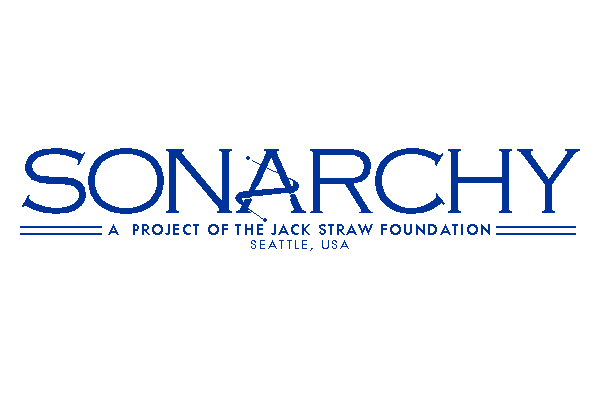 After opening, Speakeasy streamed the first live Internet art opening, featuring Sky Cries Mary, developed their first product as an ISP -- Internet in a Burlap Sack -- and helped Jack Straw Productions launch their streaming web-only radio show, Sonarchy, which would go on to find a home as one of KEXP’s most beloved weekly shows. 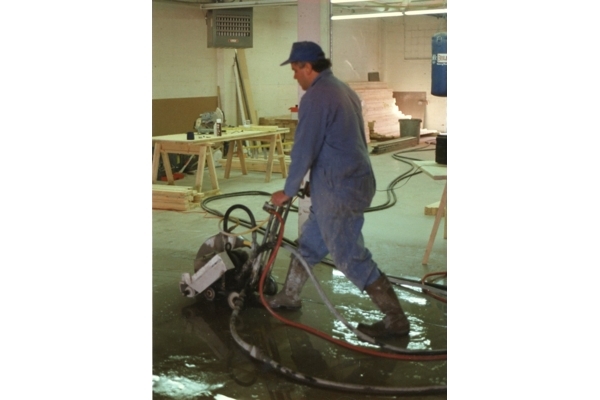 An artisan preparing the cafe's cement floor for finishing. 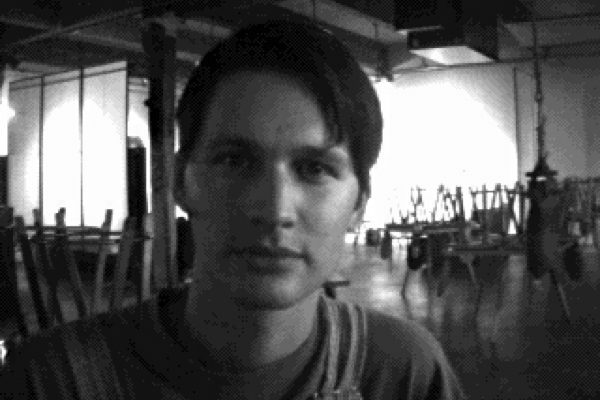 Brian Nelson, Tyler Apgar, Sam Foucault, and more, tear up the cafe's floor in order to install plumbing, electricity, and internet connectivity. 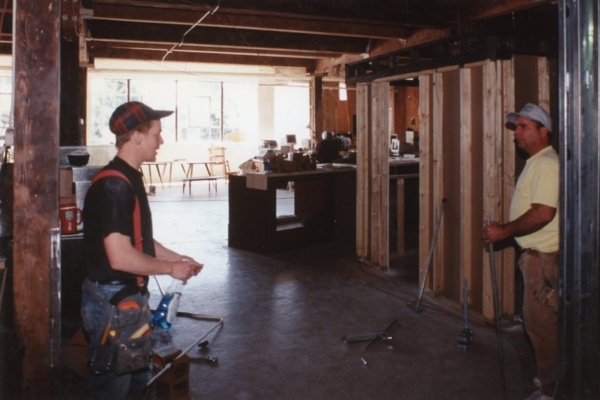 Tyler Apgar and Brian Nelson survey their handiwork after tearing up the cafe's cement floor. 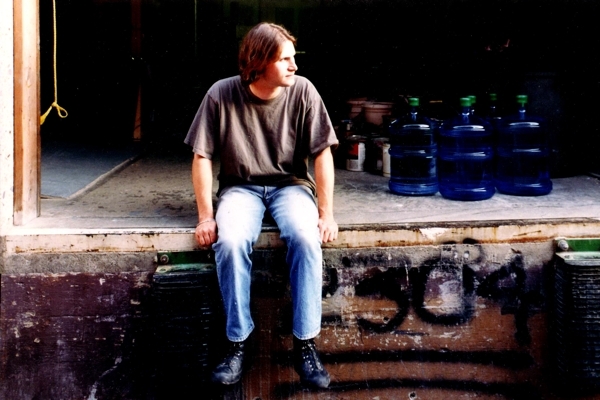 Sam Foucault taking a break amidst the rubble. 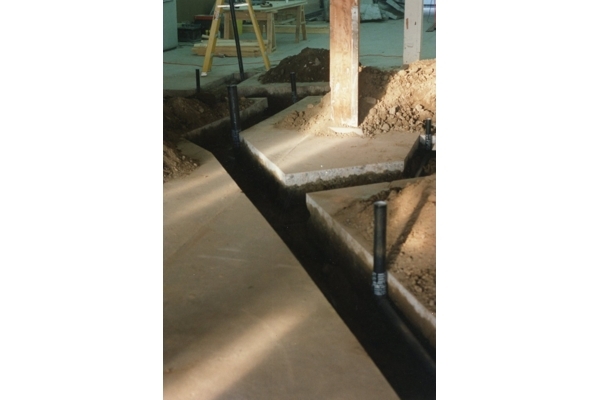 A close up of the ditches that the crew dug in order to install plumbing, electricity, and internet infrastructure. 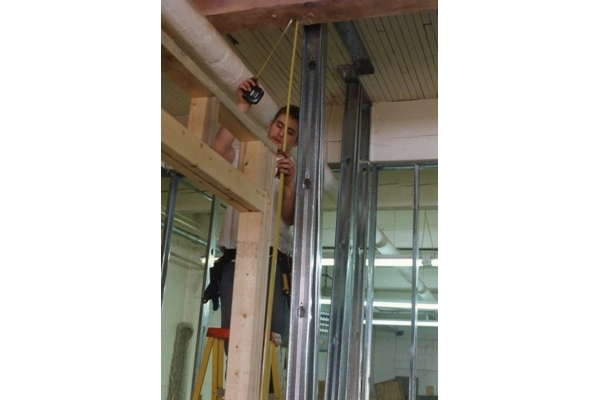 Tyler Apgar measuring and lining up the framing for the walls in the cafe. 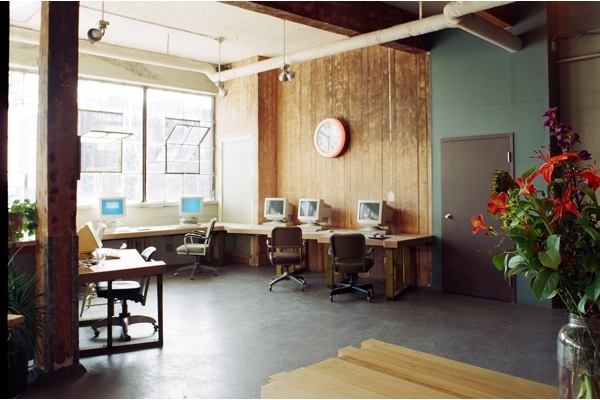 From an open warehouse, the crew fashioned a kitchen area, back office, theater, and bathrooms. 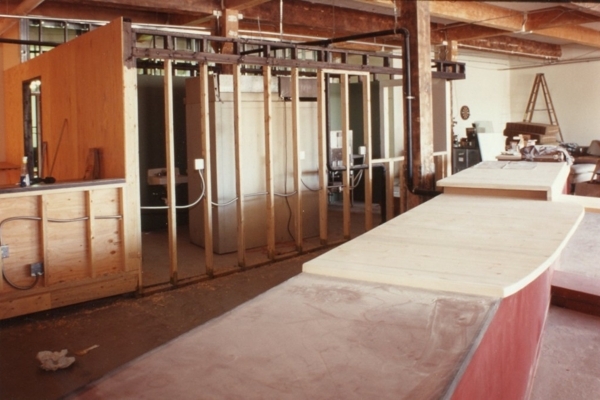 The cafe's counter, which would eventually serve up espresso, food, beer, and wine, in its embryonic state. 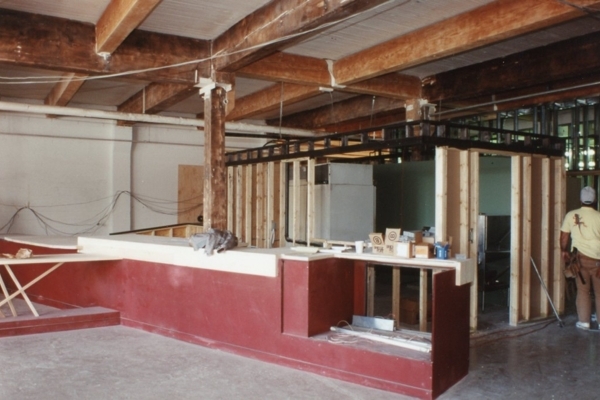 Another view of the cafe's counter as it was being constructed. 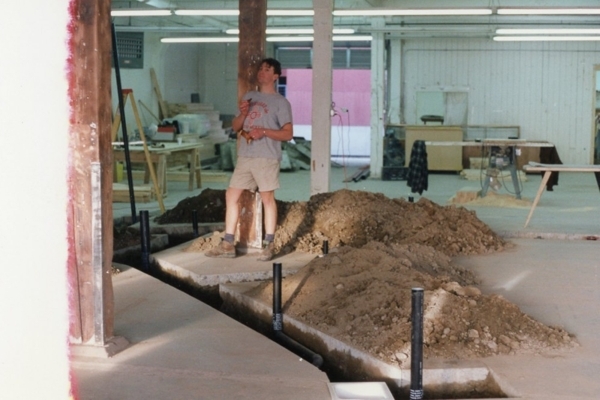 After the rooms had been framed, artisans joined the crew to build out the different spaces. 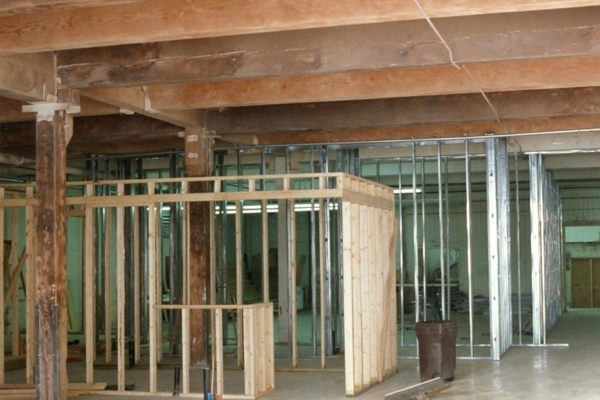 The cafe's starting to come together, with walls and structure. 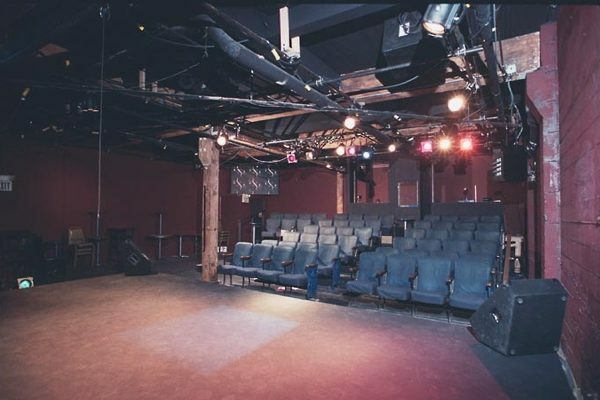 It actually looks like it might be more than a big, dusty room someday! 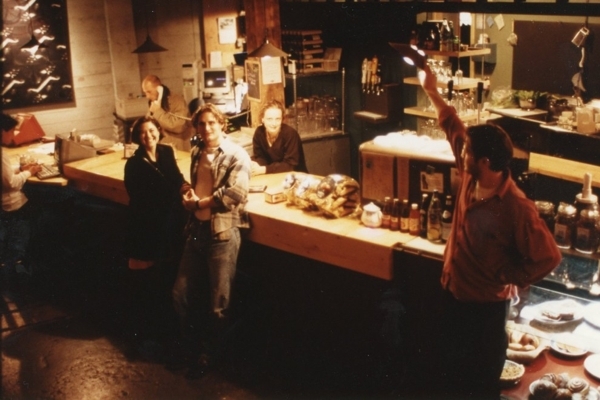 Gretchen Apgar standing at the first iteration of the cafe's front counter, shortly before opening. Gretchen Apgar employing her mad apparel design skills to create some of the cafe's first furniture: Chairs built from the original lumber from Montana, upholstered with reclaimed fabric. 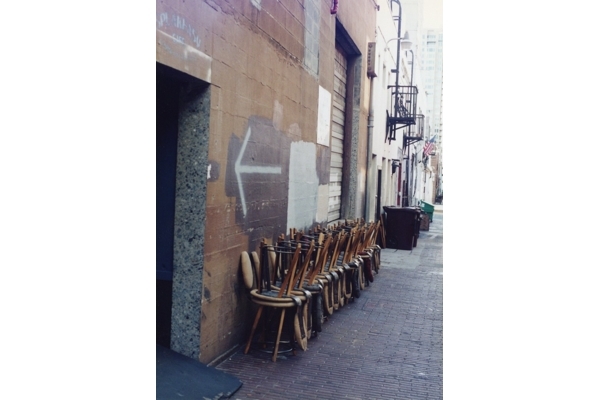 Gretchen Apgar's carefully crafted custom chairs, lined up in the alley, ready for duty. 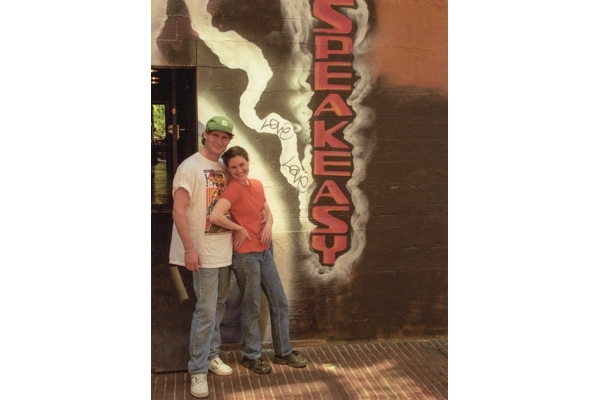 Mike and Gretchen Apgar in front of the alley entrance prior to the cafe's opening. 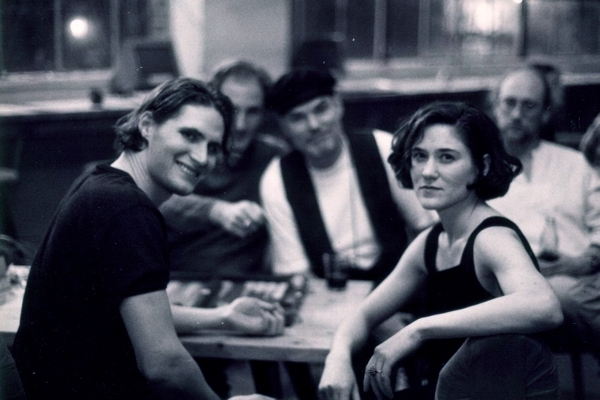 Mike Apgar, Tim Rounds, Gretchen Apgar, and others, during a crew get together. The crew getting together to celebrate Thanksgiving together in the cafe. 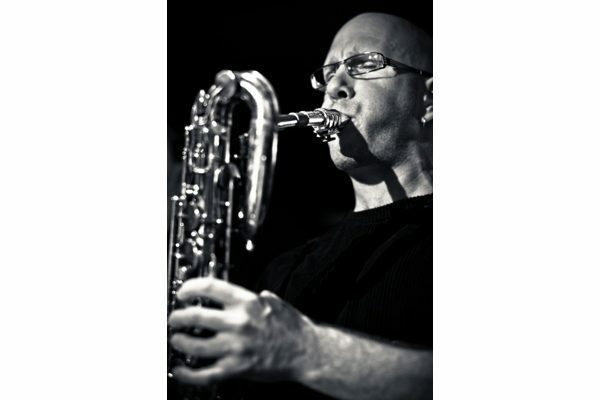 Mike Apgar hanging out in the alley at 2304 2nd Ave during the early days of the cafe. 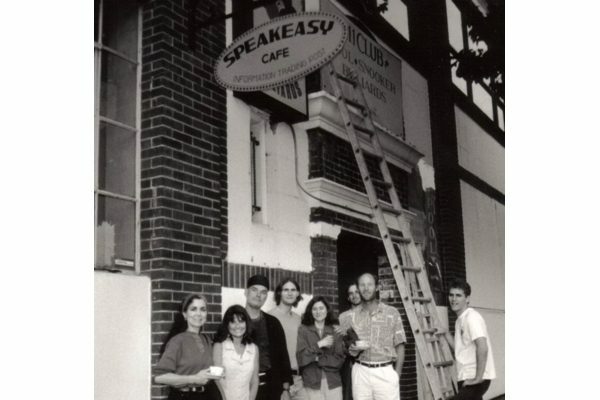 The original crew and founding members of Speakeasy, posing in front of its sign prior to its opening. 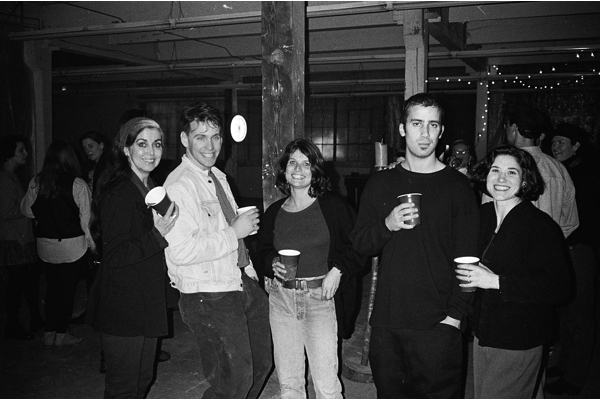 Sam Foucault, Gretchen Apgar, and more, celebrate the cafe's grand opening. 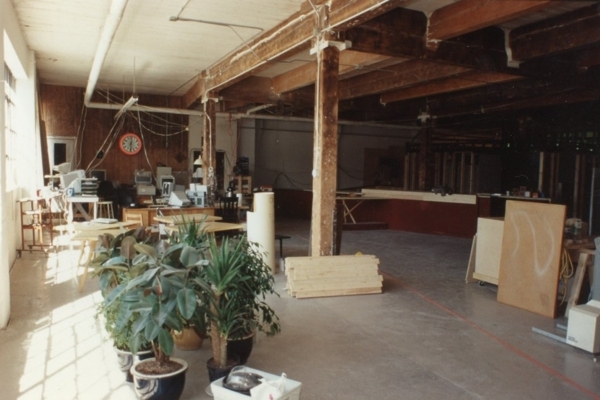 This is what the NetDesk area looked like when the cafe first opened. 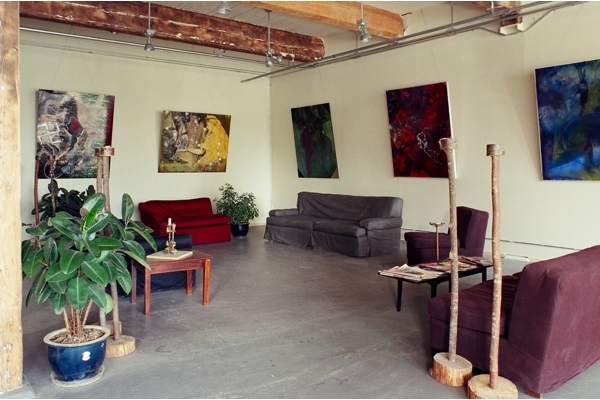 This is what the lounge area looked like when the cafe first opened. 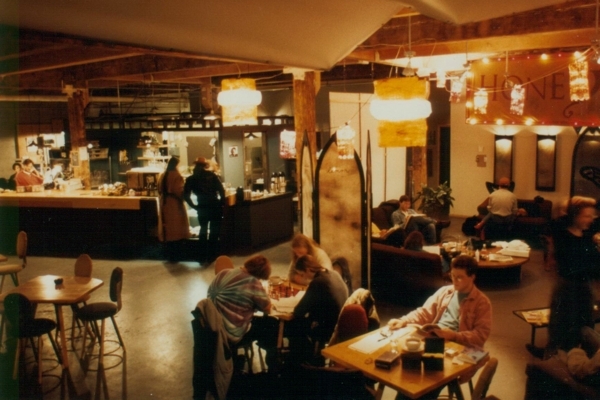 A snapshot of the cafe lounge area on a regular evening. 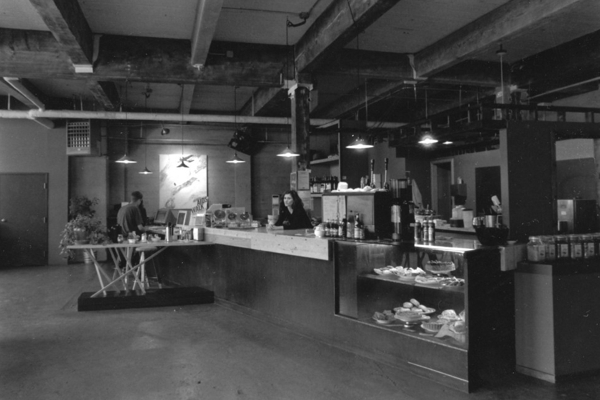 This is what the lounge and counter area looked like when the cafe first opened. 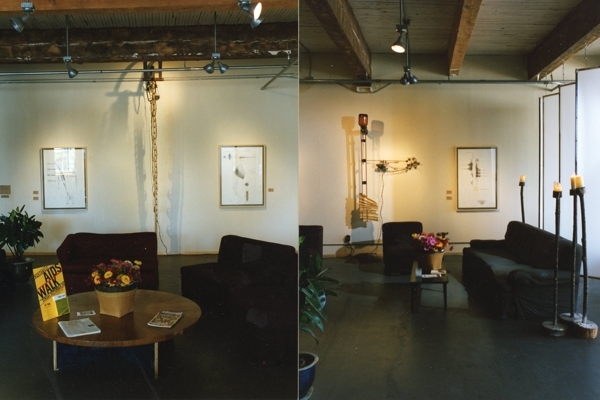 The first art installation in the cafe. 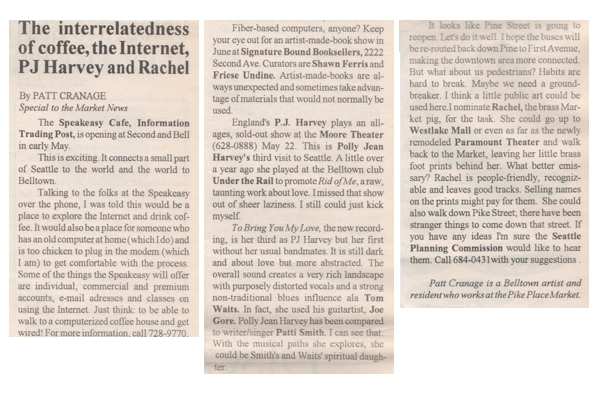 After the cafe opened, it was a community hot spot, with all walks (and crawls) of life coming in to surf the internet, meet their neighbors, and enjoy a cup of coffee. 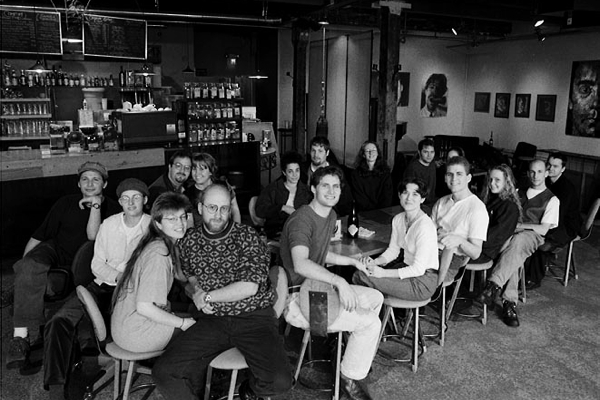 The crew hanging out in front of the counter during the cafe's early days. 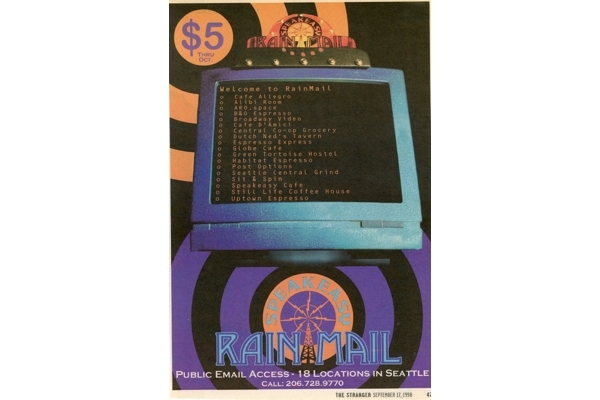 One of Speakeasy's print ads, promoting their RAINMail service. 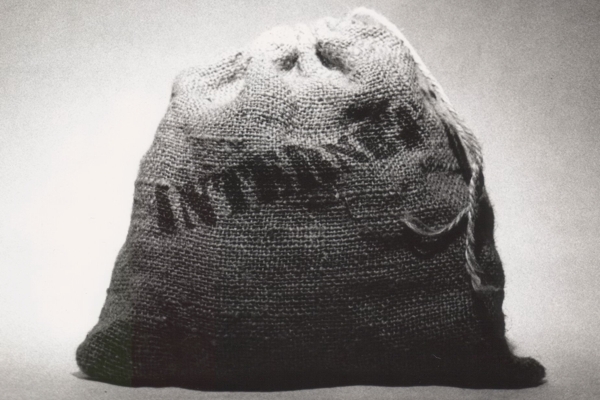 The art for one of Speakeasy's original ads, promoting their Internet in a Burlap Sack product. 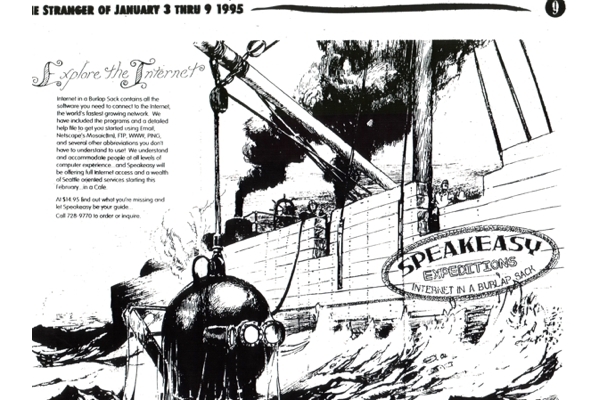 One of Speakeasy's first print ads, encouraging folks to use this newfangled thing called the Internet. 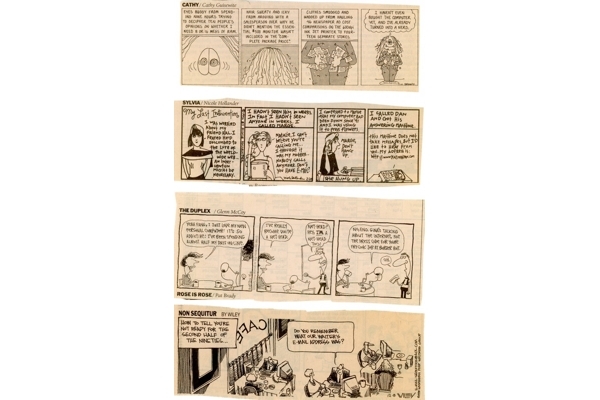 A collection of comics referencing the Internet in the mid-1990s. 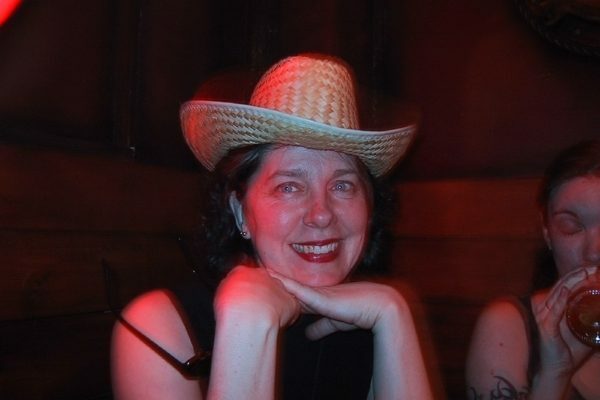 Prior to working at the cafe, Patt Cranage wrote about the cafe's opening for the Market News. 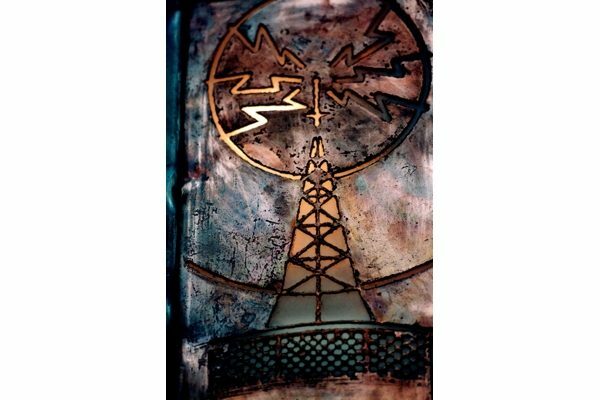 Speakeasy's signature radio tower, rendered in metal and displayed over the marquee on the street.